Aerowave Technologies offers more than state of the art communications tools and solutions, we also stand behind the products we sell with comprehensive repair and service options for your operation. From our convenient Waco location, we are centrally located to handle repairs and installation of two-way radio or wireless communications system. We also have a field service team that can travel to your location when needed. This means that when you need repairs or installations, we are here to deliver for you. 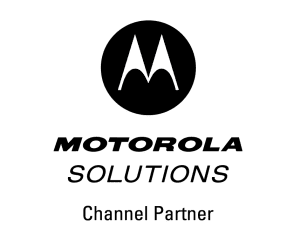 Through our partnership with Motorola, our staff receives full training on all Motorola radios, systems, and equipment, making us experts on the products we sell and how to repair them. We also have a wide selection of standard parts, which in the hands of our trained staff gets your equipment back in action in no time. We can also help you manage your costs and reduce the need for repairs with our maintenance agreements. These agreements help protect your investments in our radios and ensure that you get priority service when breakdowns do happen, helping to minimize your downtime. Aerowave Technologies is local owned operated in Texas. We are a one-stop shop for all your business and operations wireless communication needs. Whether you’re looking for a full-service communications solution for a business or a large-scale wide-area communications solution poised for growth we can design and engineer the perfect system to meet your needs. Our highly trained and talented team of wireless service professionals can install your equipment, educate your team on how to use the equipment, and get your system up and running for you. With 20 years of experience in the business communications industry, we’re the only name you need to know in the Waco, Dallas/Fort-Worth area. Contact Aerowave Technologies today and let us craft a communications solution for your organization that can grow along with you. And, when repairs become necessary, we’ll be there to help with that as well.